Even if I walked into Wonderstruck without knowing who had directed it, I'm sure it wouldn't have taken me long to figure it out. Before the opening scene has elapsed the film has already cited Oscar Wilde's quote “We are all in the gutter, but some of us are looking at the stars,” and a character has put on Bowie's Space Oddity. The combination of these two icons immediately called to mind Todd Haynes' Velvet Goldmine, which I think is one of his worst films, and for a while I feared that Wonderstruck would fail in similar ways to his confused glam-rock odyssey by telling too many stories, mixing too many styles, and allowing the thin characters to be swamped by the fetishistic evocation of a bygone era. Ultimately, my fears proved to be unfounded and Wonderstruck did enough to win me over, but it's an awkward and uneven movie that plays to Haynes' weaknesses as much as his strengths. The film eventually finds its feet, but the opening scenes are disastrous. In trying to set up two parallel narratives, Haynes creates a clumsy cross-cutting rhythm that doesn't allow either of them to settle, and leaves both feeling strangely stunted. They are both stories about deaf children taking a daunting trip to New York in search of a lost parent, and they take place fifty years apart. In 1927, a girl named Rose (Millicent Simmonds) has little happiness in her life – we see her writing things like “Help Me” in her notepad – and so she often escapes to the movies, where she gazes upwards at the screen star Lillian Mayhew (Julianne Moore) in Daughter of the Storm, a silent pastiche that suggests both Griffith and Sjöström. When Rose emerges from the cinema, she sees posters announcing an exciting new development in the cinema experience – the talkies. With her one source of solace on the verge of being snatched away from her, Rose cuts her hair and heads to the big city, where Mayhew is performing on stage. In 1977, we meet another deaf kid, although he isn't deaf at the start of the movie. Ben (Oakes Fegley) loses his hearing in a freak accident and then abruptly decides to run away from the hospital and take an overnight bus to the city where he thinks he might find the father he's never met. The only thing he has to go on is a note that he found in a book called Wonderstruck, which belonged to his late mother (Michelle Williams). He has asked her a number of times to tell him something about his father, even admitting that it was his wish when he blew out his birthday candles, but she always denied his request. My question is, why? When we finally find out who Ben's father was we discover that he wasn't a bad person, that there was nothing for his mother to be ashamed of. We even find out that she took Ben to his funeral when he was too young to remember, and that something he saw at that time has resulted in unexplained recurring nightmares. No, the only reason she doesn't share this information with him he because that's what is needed to kick-start the film's convoluted plot. That sums up one of the major problems with Wonderstruck. The film has been adapted from a book by Brian Selznick, who also wrote the source material for Martin Scorsese's Hugo, and he clearly favours clockwork narratives that turn on contrivance and coincidence. We know that Ben’s narrative is going to intertwine with Rose’s story in some way but getting there requires a series of torturous plot devices that have a limiting effect on Haynes’ ability to tell this story in an elegant way. The sense of wonderment promised by the film’s title only occasionally flickers into life and Wonderstruck too often feels bogged down by incident, with Haynes’ focus fatally caught between the two narrative strands. When the director does choose to give certain scenes time to play out at length, I’m not sure he picks the right moments. A long stretch of the film’s second half takes place in the American Museum of Natural History – with both Ben and Rose having key encounters there fifty years apart – but there is an awful lot of faffing about before they make their key discoveries, and watching these kids run from one exhibit to another is nowhere near as engaging or magical as Haynes seems to believe it is. And yet, there is magic in Wonderstruck. Haynes’ regular collaborators Sandy Powell, Carter Burwell and Ed Lachman are on prime form here, with Burwell and Lachman doing a great deal of heavy lifting given how much of the film unfolds without dialogue. It’s a gorgeous picture to look at, the golden hues of ‘70s New York contrasting with the grainy black-and-white of the 1927 section, and at its best – particularly in Rose’s strand of the story – it captures the enchantment mixed with trepidation that being alone in a big city for the first time can induce. Those transcendent moments are nowhere near as frequent as they should be, but by the time it drew to a close Wonderstruck had just about done enough to move me to tears. 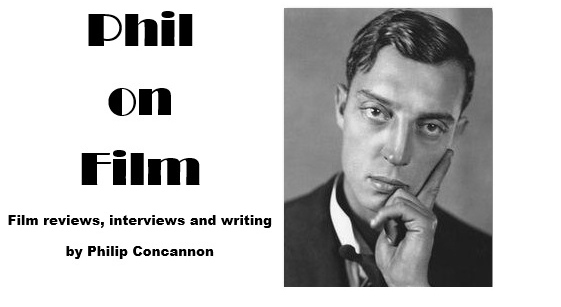 So much of Haynes’ work is about people yearning for a connection, and when he finally brings this film’s twin narratives together it has a heart-stopping emotional charge. The manner in which Haynes reveals all of the film’s answers – using a model panorama of New York and dollhouse-like recreations of Rose’s past – is an unbelievably beautiful sequence that recalls his own Superstar: The Karen Carpenter story, and there is a lovely sense of tactility throughout the whole film. 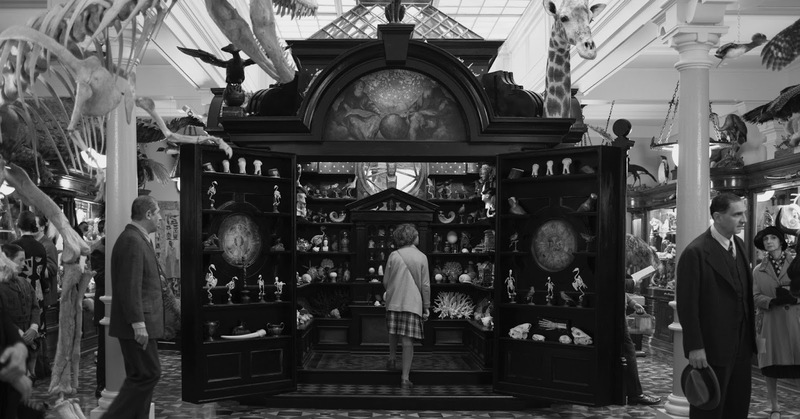 Wonderstruck is a film obsessed with the expressive, totemic properties of objects, sounds and faces and – for all of its narrative problems – it has a level of craftsmanship and ambition that comfortably eclipses most current releases. All of this in film aimed at younger audiences? Perhaps it's churlish to complain. 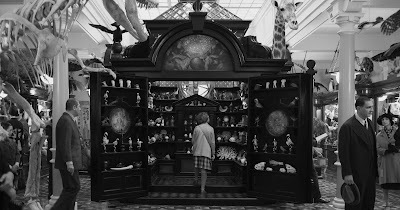 I’d certainly encourage every parent to take their child to see Wonderstruck before any of the soulless blockbuster franchises that dominating our cultural diet, and I hope they’ll be transported by Haynes’ vision, filled with wonder as they gaze up at the stars.